Who needs some party food? The quantity that I made them in was basically huge. I am going to give you the recipe for a single batch, which you can scale according to your needs. 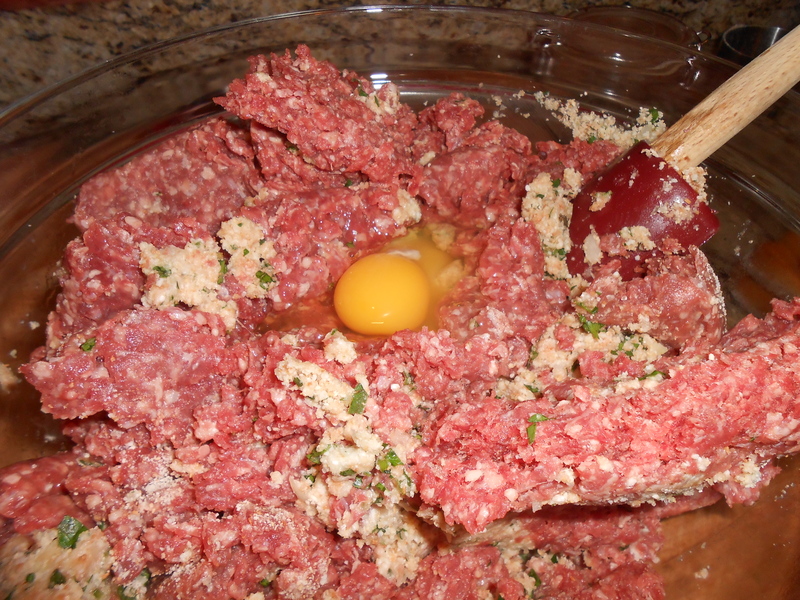 My meatballs: 4lbs ground beef, 8 cloves of garlic, egg (I ended up using 3), large yellow onion, parsley, oregano, bread crumbs, Ketchup (gasp! 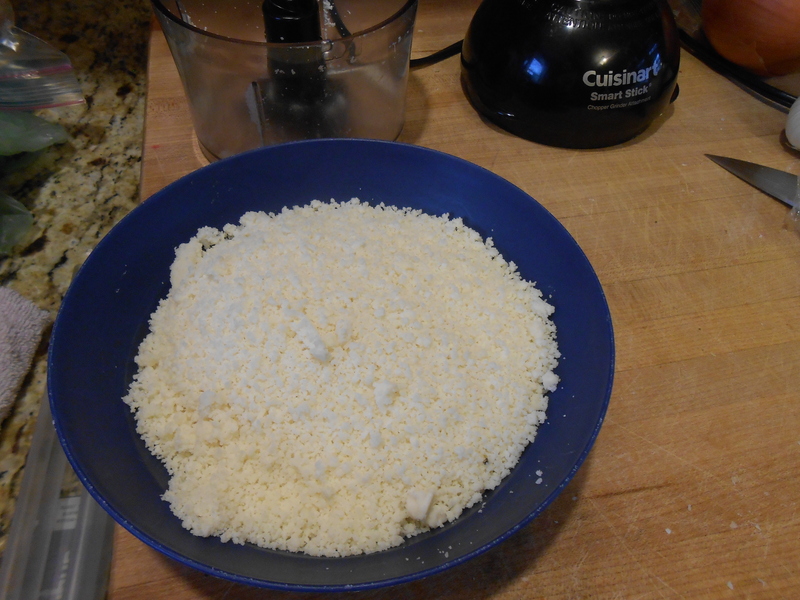 ), pecorino romano, and smoked mozz a small food processor is a LIFESAVER for things like this. 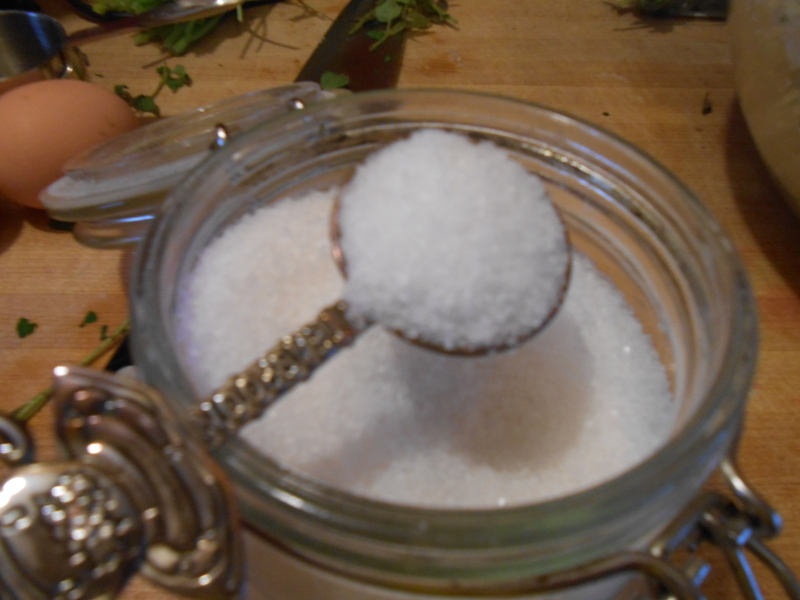 We need just about a cup of pecorino romano- grated. LOOK HOW EASY. Like out of a green bottle- BUT NOT. Your fingers may accidentally end up sampling the cheese, just to make sure it is still good… it is. 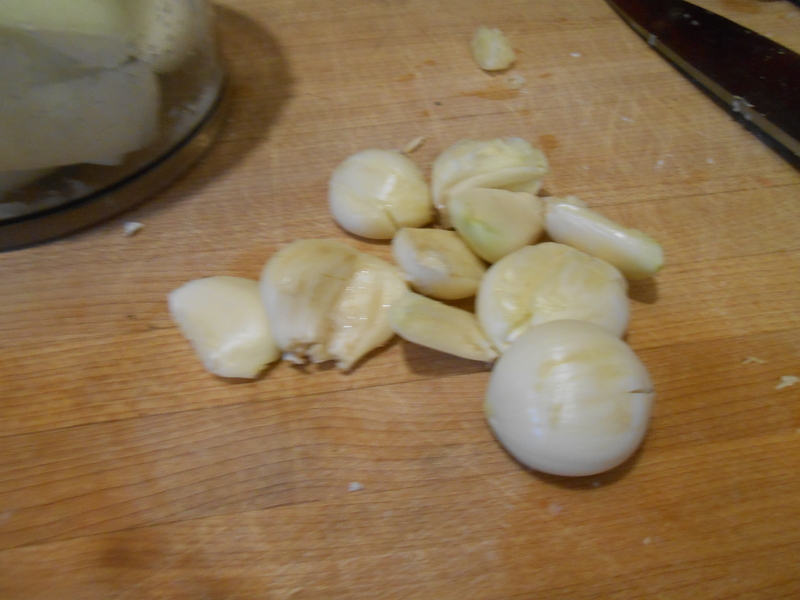 using the same processor (because everything is going to end up in the same bowl, anyhow)- totally process the onion and the garlic. It helps to get them started by doing a rough chop. Into the bowl! 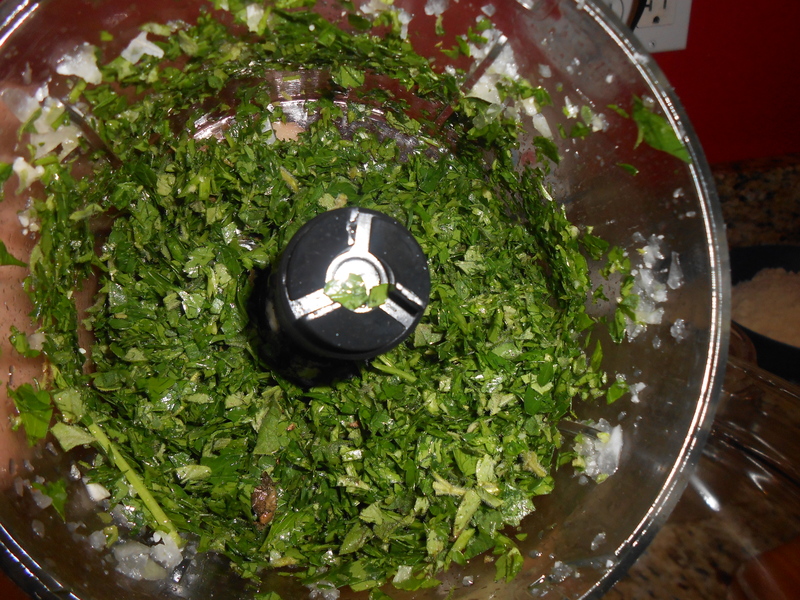 Next the herbs- a large handful of parsley (a cup) and a bunch of fresh oregano- half a cup? I used all of the leaves from 5 or so stems. 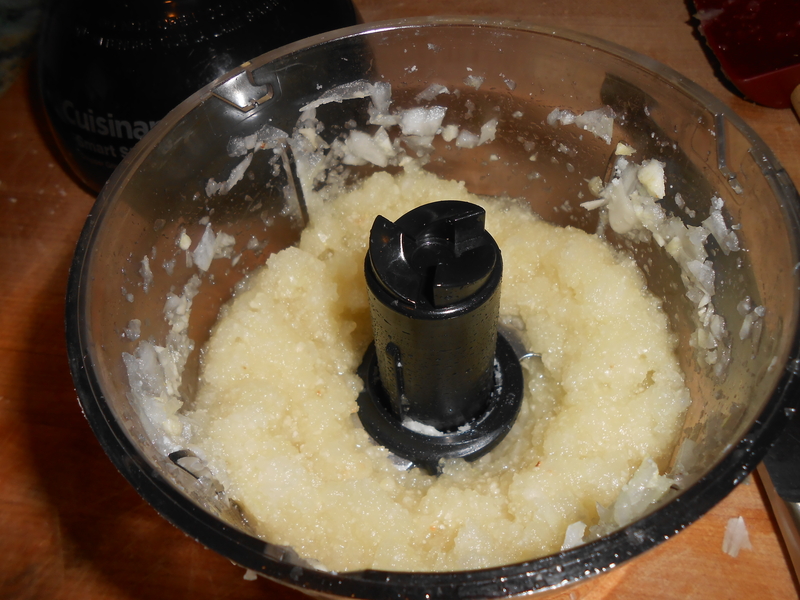 More processing- not to pesto level tininess- but a nice chop. Look at all of the chopping we didn’t have to do! And only one thing is dirty so far. 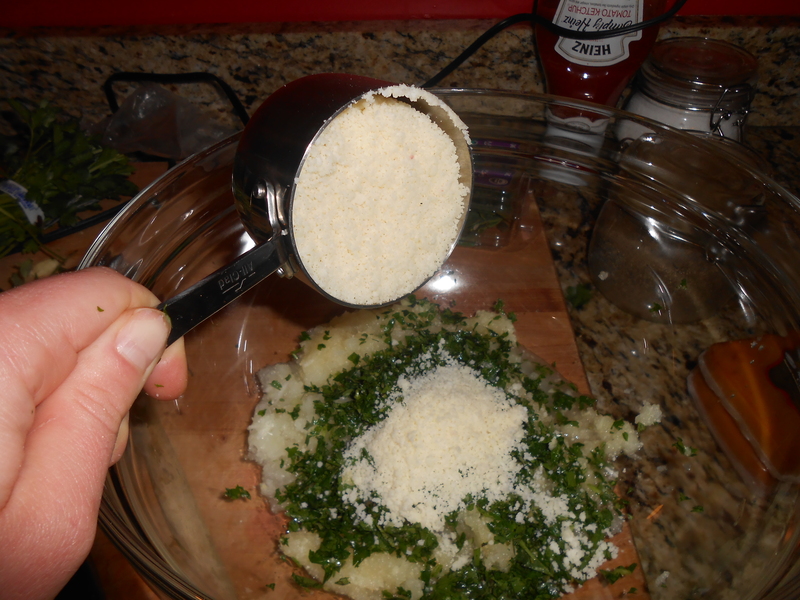 Cheese and herbs into the bowl with the onion.. 1.5 cups of plain breadcrumbs… 1/2 cup of ketchup 2 teaspoons of salt, 4 lbs lean ground beef, 3 eggs Aand mix it all up with YOUR HANDS. No getting around it. You can recruit local he-men to handle the job- sometimes they even volunteer Don’t over mix- but there shouldn’t be large streaks of breadcrumbs or cheese- it should look homogenous. 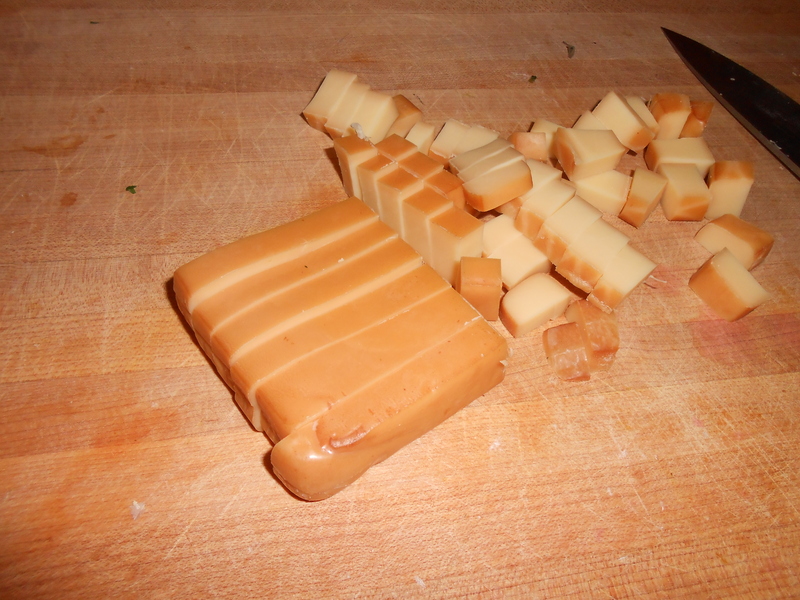 Cut the smoked mozz into cubes. Now- at this point you can customize your ‘balls. Do you want big balls? Little balls. (OMG I am dying. All of this ball talk is just too adult for me.) 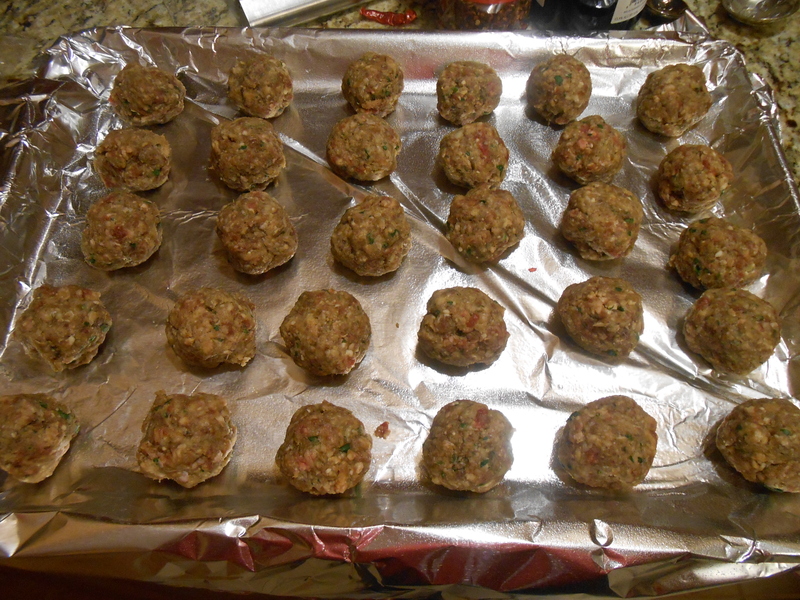 We do meatballs about the size of my cookie scoop- it makes for even measurement and very uniform meat spheres. Stick a hunk of cheese in center of each sphere and make sure it is totally encapsulated by the meat. Line ’em up on a greased baking sheet and bake them at 400 degrees for 15-20 minutes, until brown and cooked through. 1. They are baked. No greasy oily mess. No, they aren’t health food- but notice that we do them on aluminum foil? even less mess. 2. They taste amazing. The smoky cheese really adds an extra something that makes them addictive! 3. The meat is easily changed out to turkey, pork, lamb, or a mixture. 4. 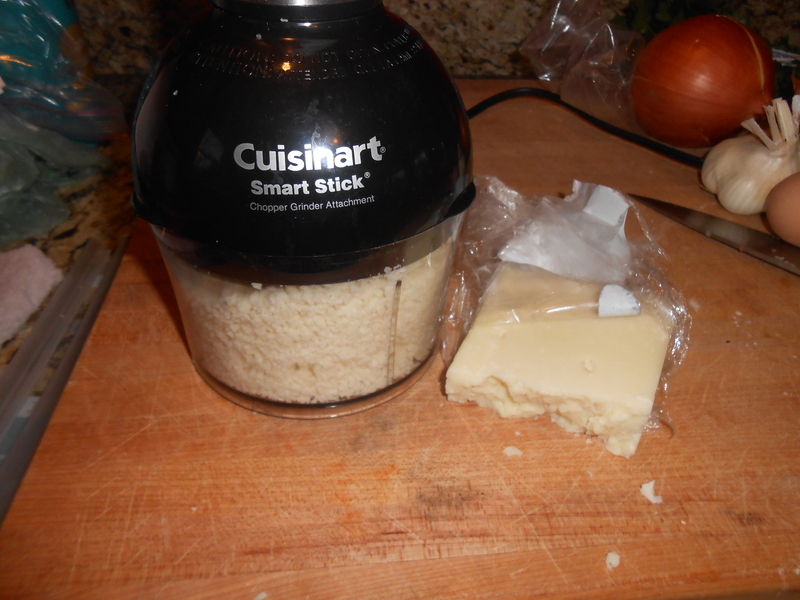 Aside from the smoked cheese (and you can use regular mozz, but its just not as cool)- I usually have all of the ingredients on hand- so I can make them in a snap if I need to. 5. They freeze phenomenally well- with sauce on them already or not. Freeze in portions that work for your family and you have a weeknight meal in as long as it takes to heat them up! 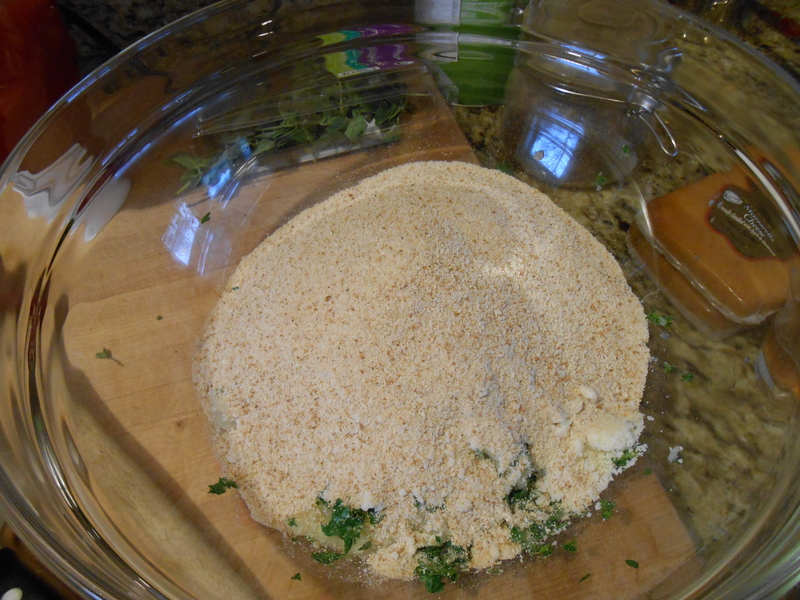 This recipe uses 1lb of meat- scale your recipe to make as many meatballs as you need! 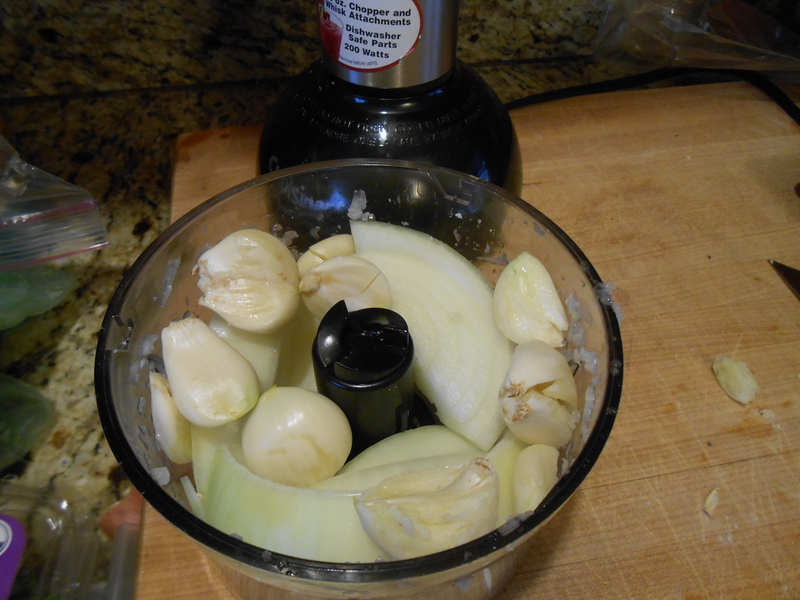 Note- I did not need 4 eggs to 4x the recipe- and I didn't need 4 onions either- I used one enormous onion. 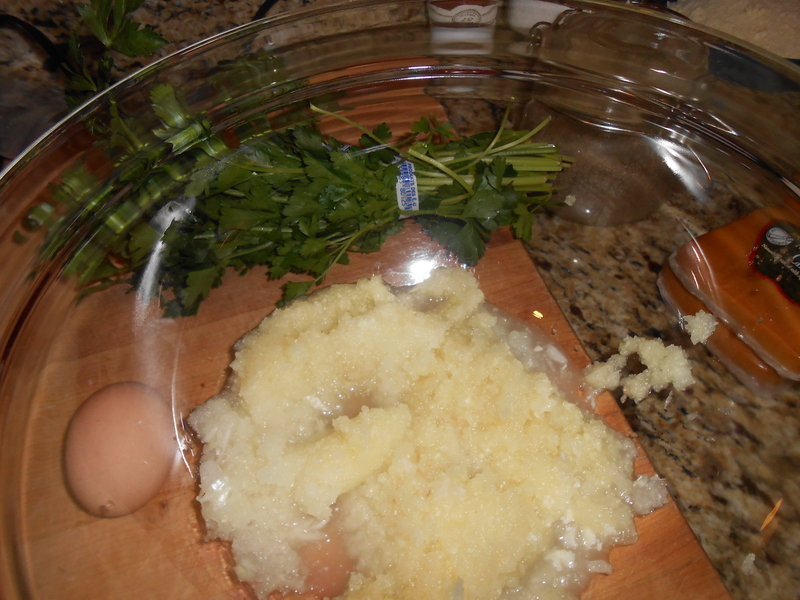 Process the cheese, onions, garlic, and herbs as indicated. Add to a large bowl. 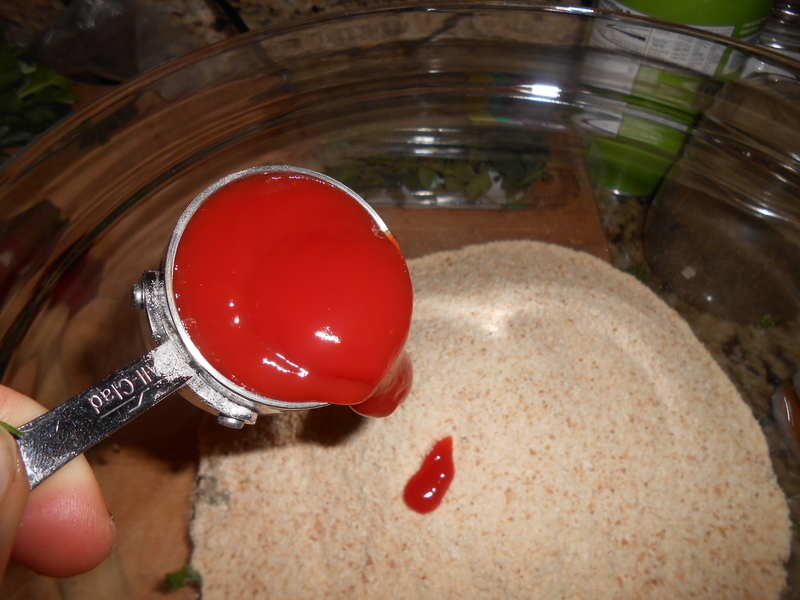 Add the breadcrumbs and ketchup- stir to incorporate. 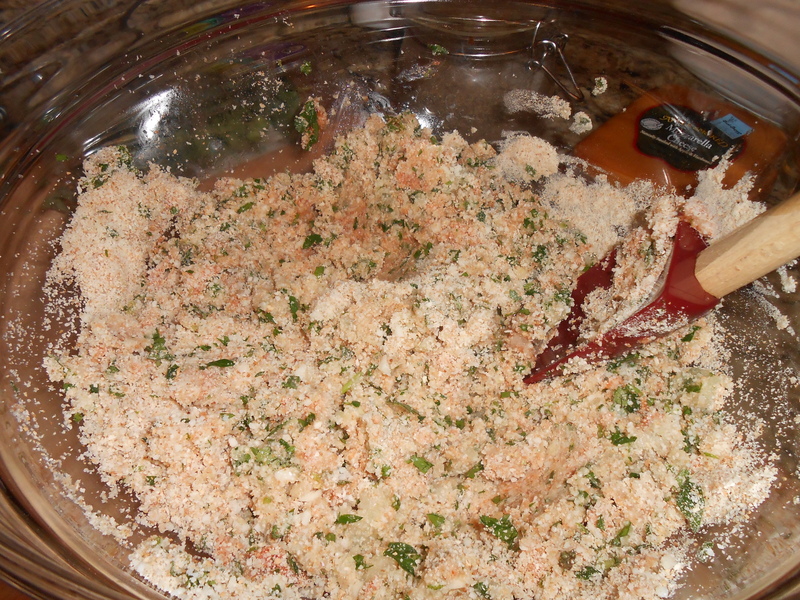 Add the meat, salt, and egg and mix thoroughly (until there are no streaks of breadcrumb or cheese). 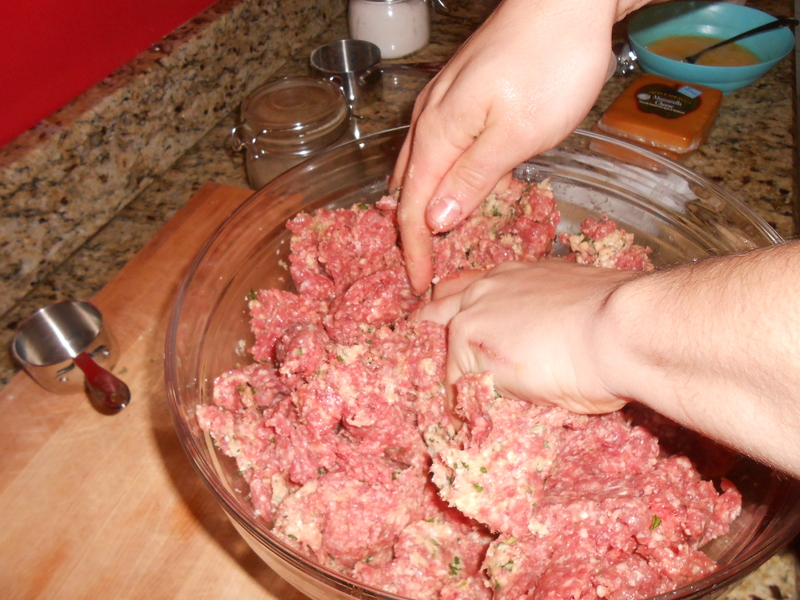 Form the meat into approximately 16 meatballs (1.5 inch diameter). 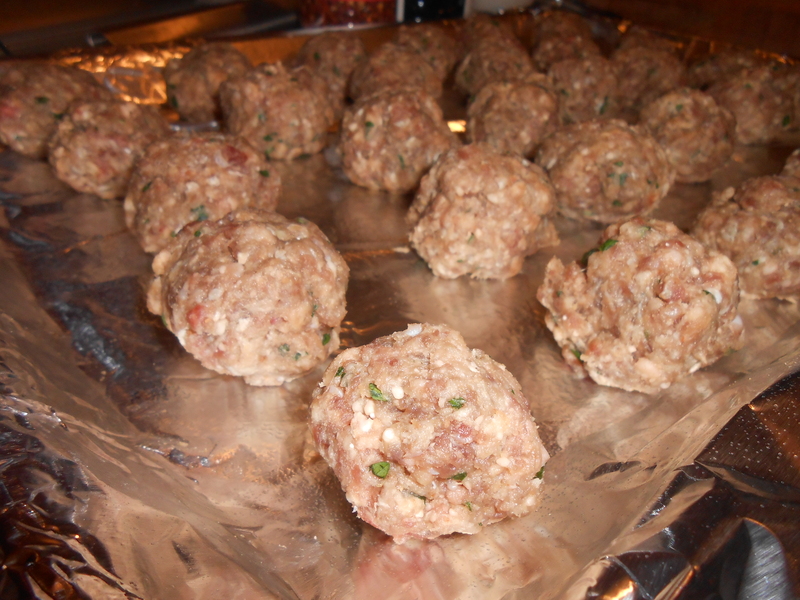 For a more petite meatball, form smaller balls and cut the cheese smaller; for larger meatballs cut larger chunks of cheese and form 3 inch meatballs. Adjust baking times up and down for diameter changes. 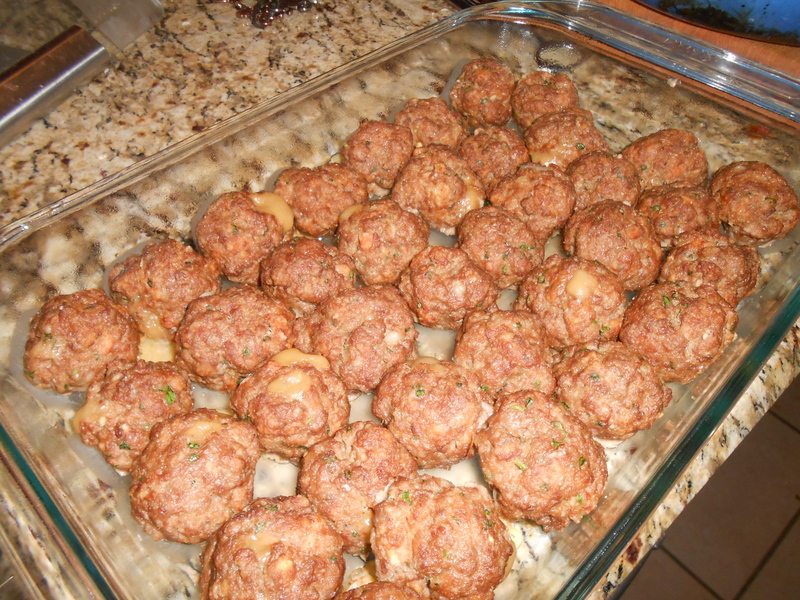 Bake the meatballs on a greased baking sheet, uncovered, for 15-20 minutes at 400 degrees. Serve immediately with your favorite marinara sauce and pasta- or arrange meatballs in freezer safe containers and cover with marinara sauce. Freeze and use as needed! 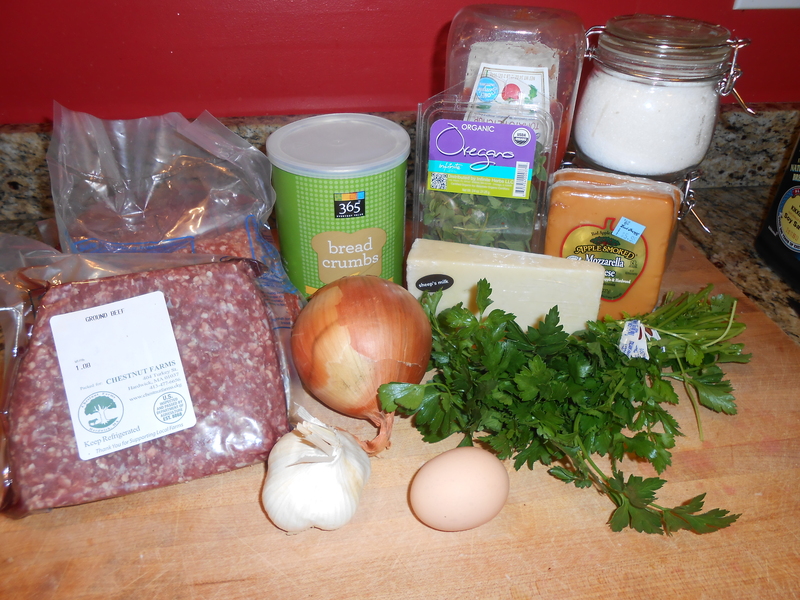 This entry was posted in Cooking, Entertaining, Recipes and tagged baked meatballs, meatballs, recipe. Bookmark the permalink. One Response to Who needs some party food? Looks yummy. You make it sound easy and scrumptious.